Fairfield Landscaping’s goal is to provide a level of service that exceeds our customers’ expectations. We succeed as a company by satisfying and delighting customers and making them enthusiastic about the way we do business. We receive a significant portion of our business through word of mouth advertising. No other type of advertising is more powerful than word of mouth. This means our satisfied customers are telling their success stories to others. Fairfield Landscaping is registered, licensed and fully insured. With a fleet of trucks and an equipment inventory which includes skid steer machines, excavators, hydro-seeders, chipper, bark blower and many different types and pieces of equipment that make our work possible. Owning our own equipment allows us to complete the largest jobs from start to finish without costly sub-contractors. We employee highly trained operators and employees including ISA certified arborists who manage and perform a wide range of tree services. Pittsburgh Tree Removal is your premier licensed and insured tree service provider in the Pittsburgh area. No job is too big or too small. We pride ourselves on being responsive, professional, affordable, and customer oriented. Locally owned and operated, we have a presence in the community and we believe in taking care of you quickly and appropriately so that you can get on with your life. 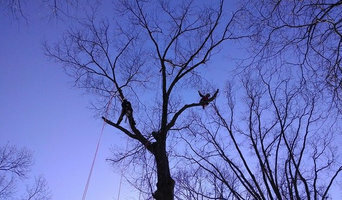 We provide excellent tree care services and focus on your safety as our top priority. We offer 24/7 assistance so don't be afraid to pick up the phone and give us a call. Kruljac Tree Services is a fully insured tree service serving Pittsburgh, PA and it's outlying areas. We are exceedingly qualified in the areas of Tree Preservation, Tree Removal, and all other Tree Services, offering some of the most competitive and affordable prices around. ISA Certified Arborist and Certified Treecare Safety Professional (CTSP) on site for all estimates AND work. "Presenting a revolutionary standard based on safety, honesty, and efficiency." Give Treemasters a call for all of your tree pruning, removal, emergency needs! When area homeowners and businesses need lawn care services that they can rely on, they often turn to Commercial Turf Fertilization in Pittsburgh, PA. Our company is fully licensed and insured, and we have more than 30 years of experience providing lawn care services to this community. Taking care of your lawn can be a massive chore, which is why Commercial Turf Fertilization makes it easy by providing excellent lawn care services. Our Pittsburgh, PA, clients have become accustomed to our sharp attention to detail and the great results we deliver, and so can you. 24x7 Locksmith Services in Pittsburgh, PA If you're looking for a Locksmith company in Pittsburgh, PA, you've reached the best place. We, in Pittsburgh Pa Locksmiths, are working with professional, trusted as well as honest technicians that can supply you with one of the best solution you may get. You can count on the experts at Mr Eds Tree Service to offer reliable and efficient tree services to Gibsonia, PA. At Mr Eds Tree Service they specialize in Tree removal, tree trimming, stump grinding. stump removal, emergency tree services, Commercial and residential tree maintenance, Tree trimming, tree pruning, Mulching, and lot clearing.. Call Mr Eds Tree Service when you want the best tree services available in Gibsonia, PA.
24x7 Locksmith Support in Glenshaw, PA If you are seeking a Locksmith company in Glenshaw, PA, you have arrived at the absolute right place. We, in Glenshaw Locksmith, are working with skilled, solid and fair techs which can give you the finest support you can find. 24x7 Locksmith Support in Bethel Park, PA If you're looking for a Locksmith company in Bethel Park, PA, you may have arrived at the right place. 24/7 Locksmith Services in Clairton, PA If you are searching for a Locksmith company in Clairton, PA, you've reached the best place. We, in Clairton Locksmith, work with professional, solid plus fair techs that can provide you the most efficient service you can find. Basic tree surgery involves pruning trees that have overgrown; cutting down branches that are dangerous or growing too high, far or wide; or shaping the whole tree. However, many tree surgeons in Wexford, PA can carry out a number of other tree services, including tree planting, felling whole trees, trimming hedges or large plants, tree stump removal and even installing tree lights. Arborists will be more technically trained and can diagnose tree diseases as well as advising on how best to prune and maintain your trees. Unfortunately, trees don’t grow overnight but instead need a bit of lasting care and attention. To make sure they get the best start, ask a Wexford, PA tree surgeon if they will carry out tree planting for you and give you advice on how to look after your new saplings. Arborists should definitely be able to do this, and most tree surgeons will too, but not necessarily so it’s always best to check before on the exact tree services they offer. Arborists will also be able to advise you on where to plant your trees and whether you have the suitable ground soil for them. Whatever your tree care problem, you can find Wexford, PA tree surgeons and more tree services on Houzz to help you. If you’re planning on landscaping your garden as well as adding some trees, then you should talk to gardening professionals at the same time as tree surgery specialists. Here are some related professionals and vendors to complement the work of tree services: Landscape Contractors, Landscape Architects & Garden Designers, Garden & Landscape Supplies. Find tree service professionals on Houzz. Look in the Professionals section under Wexford, PA tree services. You can look through arborists’ and tree surgeons’ portfolios and read reviews to see what past clients have to say.